Dunwoody Family & Cosmetic Dentistry is slated to host an Open House on May 17th at their Independence Square location to celebrate the completion of their final office renovations. 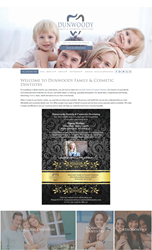 Dunwoody Family & Cosmetic Dentistry is a reputable comprehensive dental practice that now serves patients in an updated office environment complete with modern décor and soothing surroundings. We would like to thank our patients and the Dunwoody community for their years of patronage and patience during the remodel. We look forward to celebrating at the Open House and serving patients in the updated and improved space, says Dr. Angela Ojibway of Dunwoody Family & Cosmetic Dentistry. Dunwoody Family & Cosmetic Dentistry, led by skilled dentist Angela Ojibway DDS, is pleased to announce their upcoming Open House on May 17, 2018, from 4:00 pm to 7:00 pm at their renovated Dunwoody office, located at 1816 Independence Square, Suite B, Dunwoody, GA 30338. The event will celebrate the recent completion of the office remodel, a project that began nearly one year ago. Dunwoody Family & Cosmetic Dentistry invites their patients and community to attend the Open House and hopes to show off the new modern office décor and state-of-the-art dental equipment. The Dunwoody renovation supports Dr. Ojibway’s mission to provide top quality dental care in an environment that feels like home. She wants patients to feel relaxed and comfortable while receiving the dental treatments they need and deserve. Dunwoody Family & Cosmetic Dentistry is equipped to provide a full menu of dental services to patients of all ages. Dr. Angela Ojibway and Dr. John Bruce offer general and pediatric dental care as well as advanced treatments in cosmetic dentistry, dental implants and orthodontics. They use cutting-edge dental technology and emphasize a caring, patient-centered approach. The updated Dunwoody office sets the stage for a welcoming and stress-free dental visit for all ages. “We would like to thank our patients and the Dunwoody community for their years of patronage and patience during the remodel. We look forward to celebrating at the Open House as well as serving patients in the updated and improved space,” says Dr. Angela Ojibway of Dunwoody Family & Cosmetic Dentistry.